« Presentation on ASI, Inc. Cancers are highly heterogeneous with different subtypes. 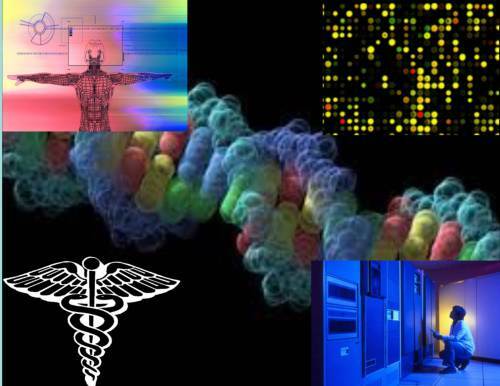 Recently, integrative approaches were adopted that combined multiple types of omics data. In this talk, I present visual analytic solutions for the simultaneous and integrative exploration of multiple types genomics data including those from The Cancer Genome Atlas (TCGA) project. Using different combinations of mRNA and microRNA features we suggest potential combined markers for prediction of patient survival. As pharma and biotech generate ever greater volumes of data, data visualization allows for deeper analysis and better informed decision-making from these big data sets. Taking place April 21-23 in Boston, Data Visualization and Exploration Tools will showcase how to design, implement and evaluate visualization techniques and tools in support of genomics and sequencing research, as well as in drug discovery and clinical development. or download the 2015 Bio-IT World Brochure. TAKE PART IN BIO-IT WORLD CONFERENCE & EXPO 2015! Benjamin Heywood, Co-Founder and President, PatientsLikeMe, Inc.
A variety of sponsored presentation, advertising and exhibit opportunities are available. In 2014, there were 1,082 new posts, growing the total archive of this blog to2,609 posts.